Bookittyblog YA Book Reviews: Wayfaring Stranger by James Lee Burke Giveaway! 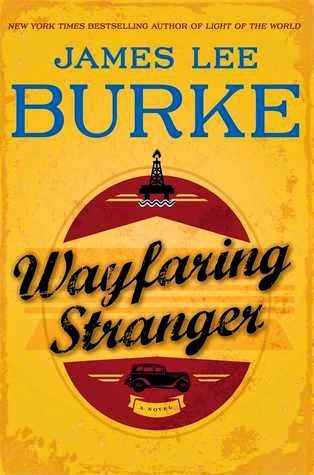 I will be giving away TWO copies of Wayfaring Stranger by James Lee Burke! To enter just fill out the rafflecopter form below. Thanks to Simon & Schuster for providing the books for the giveaway. This giveaway is US only and ends 7/25/14. My sister isn't due for a visit until Xmas, so unfortunately I can't use her mailing address to enter this giveaway cuz I won't be able to wait that long. Oh wells, maybe next time. Have a fab weekend, Bethzaida! I still haven't read The Goldfinch by Donna Tartt. That's one book I'm really looking forward to this summer. Thanks. I'm most excited to read Gone by James Patterson. Thanks for having the giveaway. I want to read Landline by Rainbow Powell. Just the name Rainbow makes me want to pick it up!!! I'm most excited about Magic Breaks by Ilona Andrews. LESS THAN TWO WEEKS! !